Mumbai, Karan Johar is the leading Indian director and film maker and he decided to introduce the hero of the movie, ‘Bahu Balli 2’ in his new coming movie. Bahu Balli 2 is the Indian movie, which was released recently and this movie has done wonderful business in India and around the world. This movie has broken the record of the business of all Indian movies and it became first ever Indian movie, which has earned over 1000 crores in the film industry. The cast and the earning of the movie has been discussed since its release and some interesting things have also been revealed during this time. The hero of the movie, Parbhas confessed being blind of one eye. The director of the movie has decided to make third edition of ‘Bahu Balli’ after looking at the tremendous business of this movie. 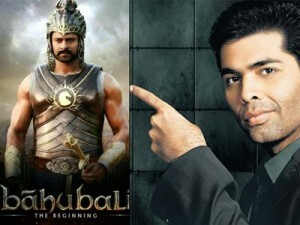 Karan Johar revealed that he will cast the hero of the movie in his new coming movie. He also wants to take the director of the movie to make his movie so he started the discussion with both of them but they are busy in completing their current projects and after completing their projects, they will make the final decision to work in this movie. 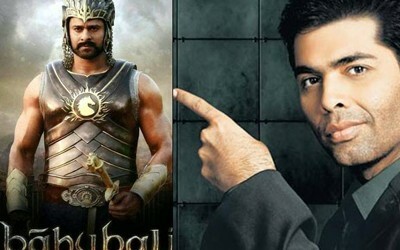 Karan Johar owns the Dharma Productions, which bought the distribution rights of the Hindi version of this movie and the movie has done the business of over 1000 crore around the world including India.